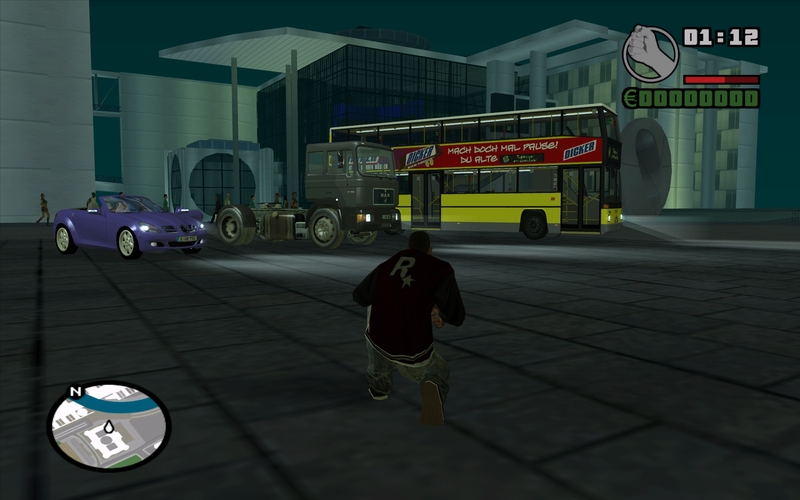 GTA: Berlin is a modification of Grand Theft Auto: San Andreas. 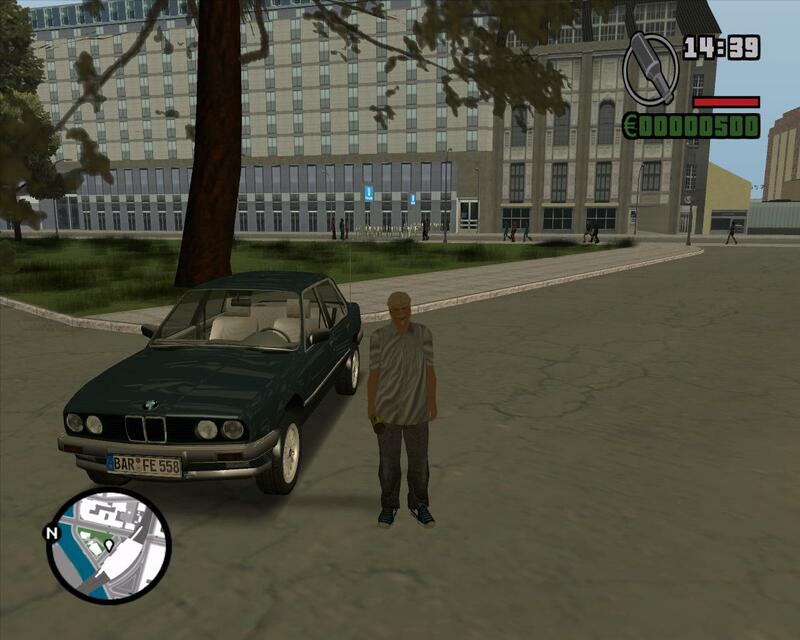 We mainly replace the ingame-environment, car models and characters. Thus, there will be a whole new story as well. In its today's appearance, this project has been existing since 2002, having gone through a lot of changes in the team involved in its development. 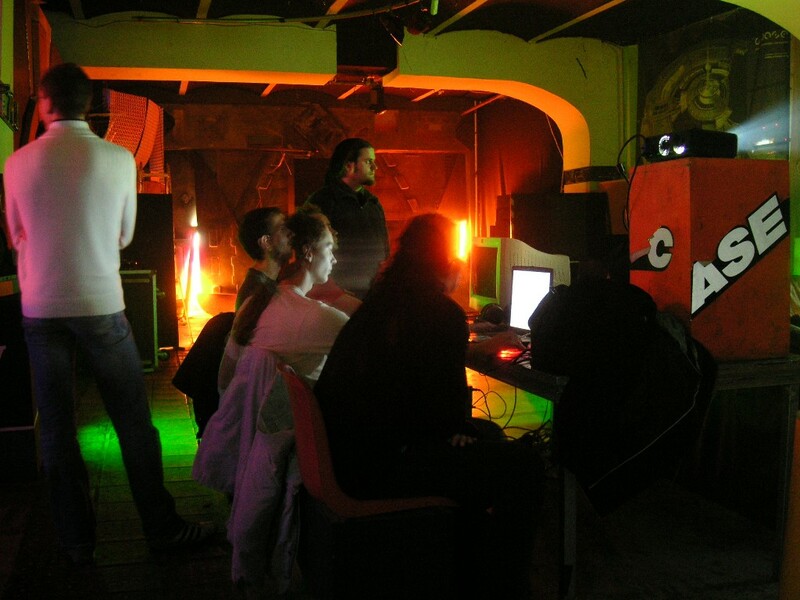 Release a first ingame version took place on Ocotber, 29. 2007. Since then, the modification is updated via irregularly published extensions. Chances are that this is what the project has looked like to the outside observer recently, despite the very opposite being the case. 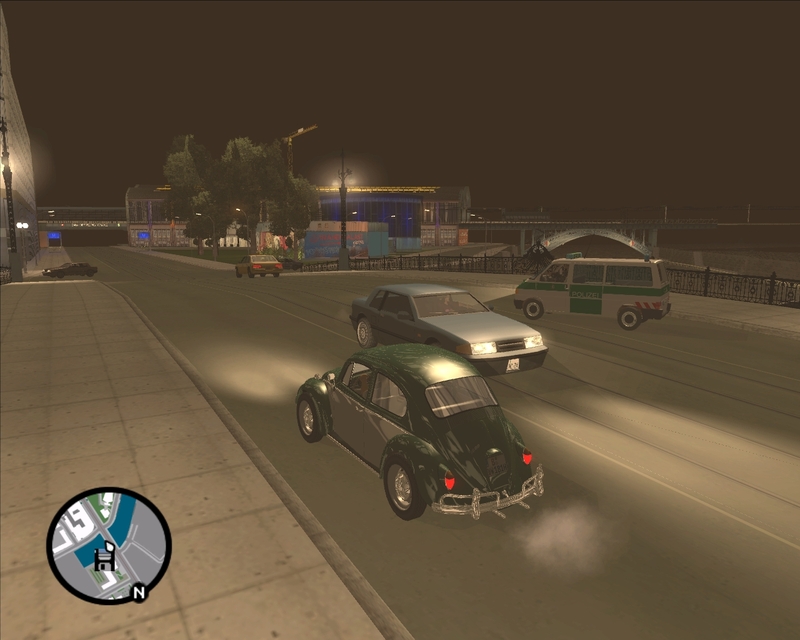 Even amid successfully completing research projects and the like our most active contributors have managed to spare time to further GTA: Berlin. Hence it is indeed with some pride that we can present a bunch of updates on this very special occasion: It is our first release's eighth anniversary! 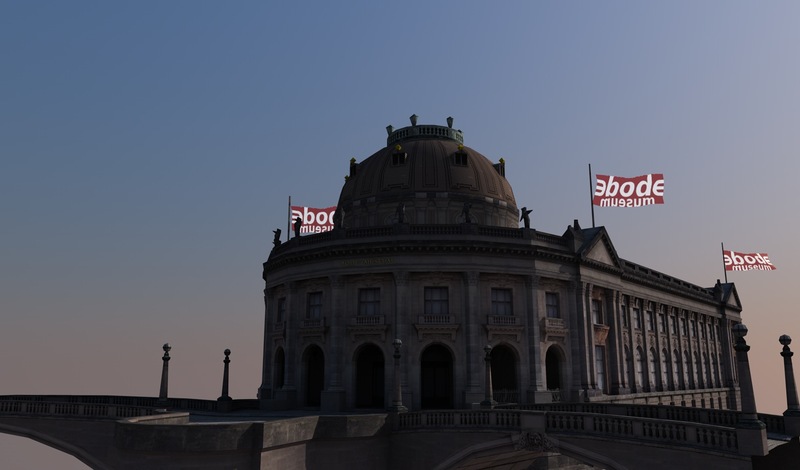 Without further ado let us begin showcasing the most recent highlights from virtual Berlin. 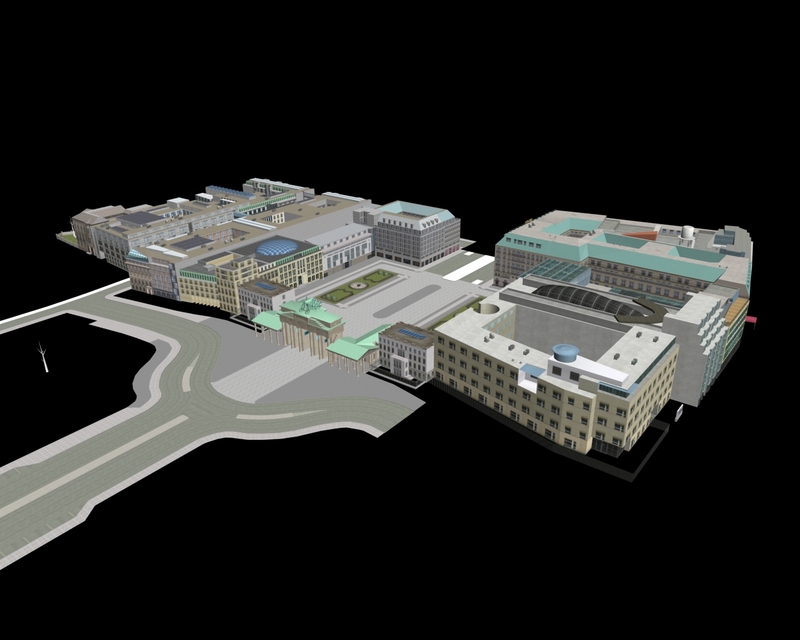 Dreily has finished polishing the block that houses the Federal Ministry of Labor and Social Affairs. We think the level of detail you will find in his model is simply amazing. 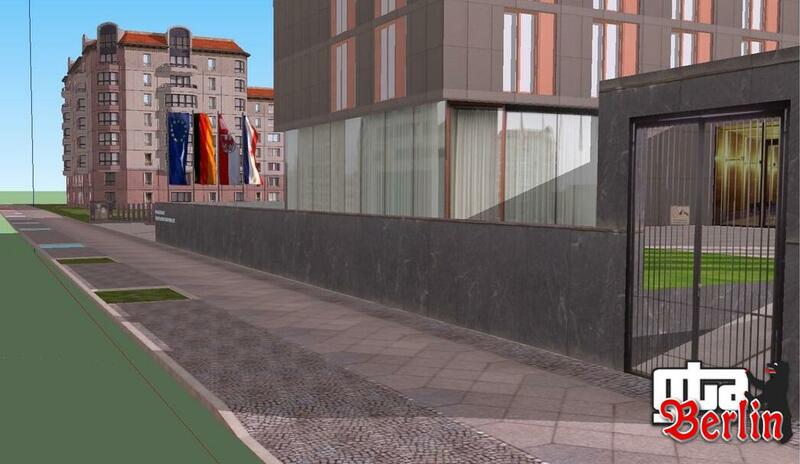 The nearby block housing the representative office of German federal state Mecklenburg was completed by Golden earlier this year. Unfortunately it looks like this will have to remain his single masterpiece for the time being. 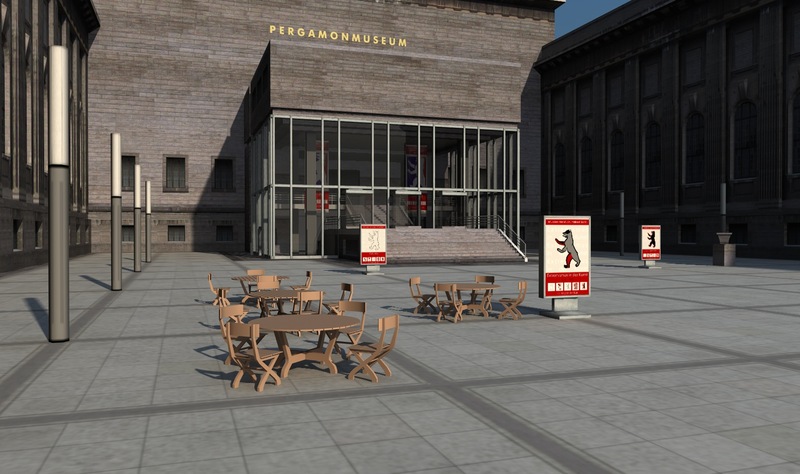 But Dreily has been working hard to connect this site to the existing area around the Pariser Platz and Zietenplatz. 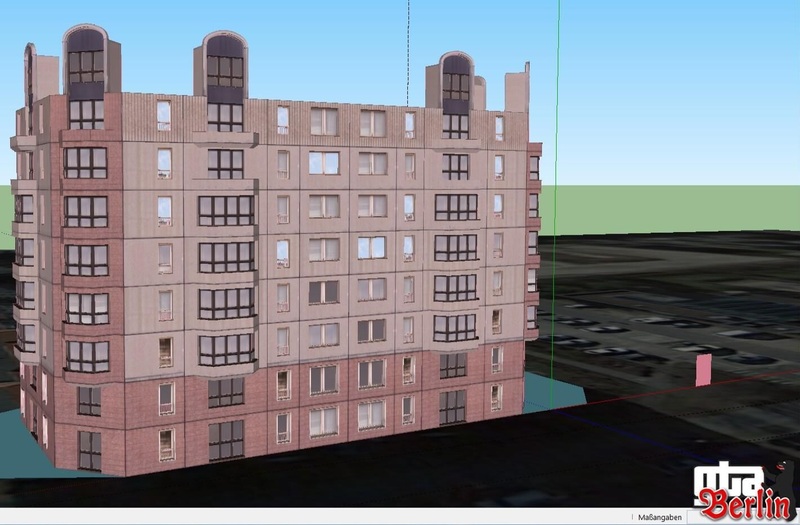 This this end he has shown his recent progress on building a model of the plattenbau blocks you will find there. 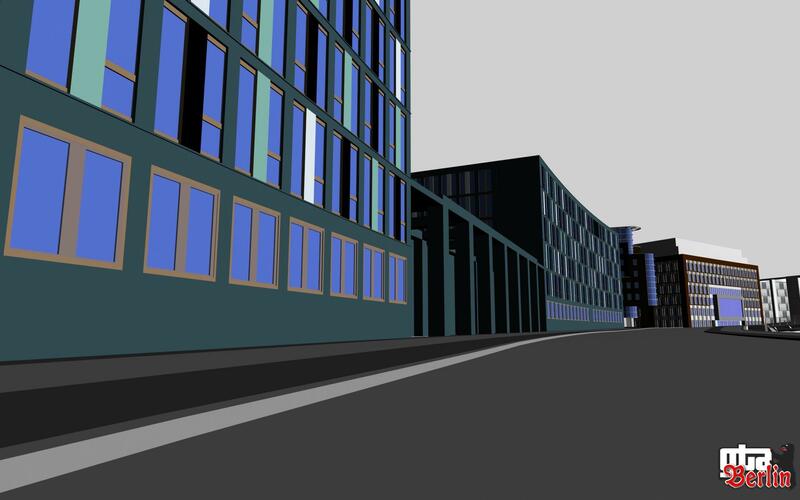 While industrial blocks are typical of certain parts of Berlin, these specimen cover a somewhat large area between Behrenstraße and Voßstraße and shape this neighborhood's atmosphere quite significantly. 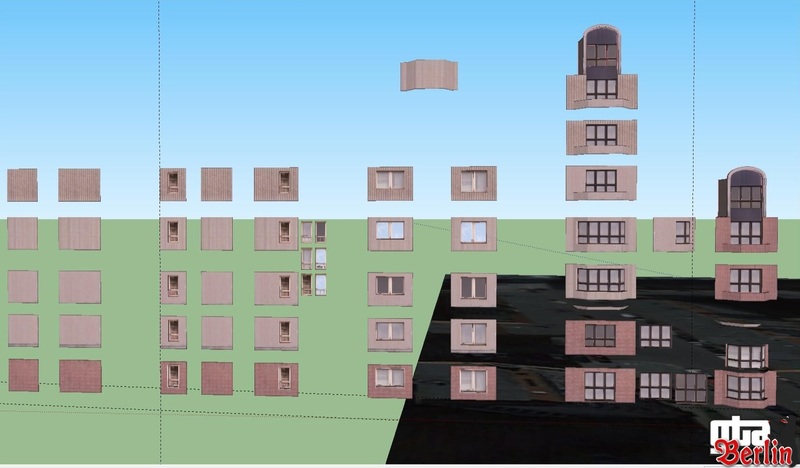 Just as for their real-world counterparts Dreily modeled the facade by isolating the recurrent structural elements, creating a kit of building blocks. Not only does this facilitate the overall creative process, but it also allowed him to create a consitent impression while customizing little details on every one of them. 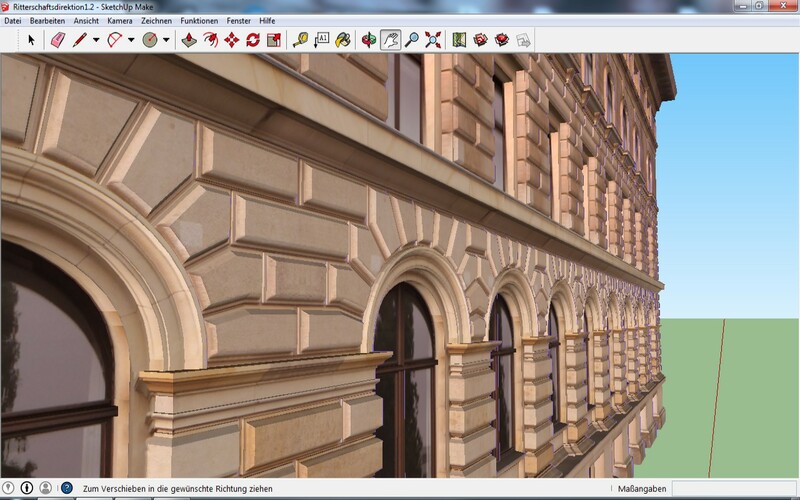 Meanwhile MoeRon has continued his work on the Pariser Platz area, extending his impressive portfolio of blocks in our virtual Berlin. 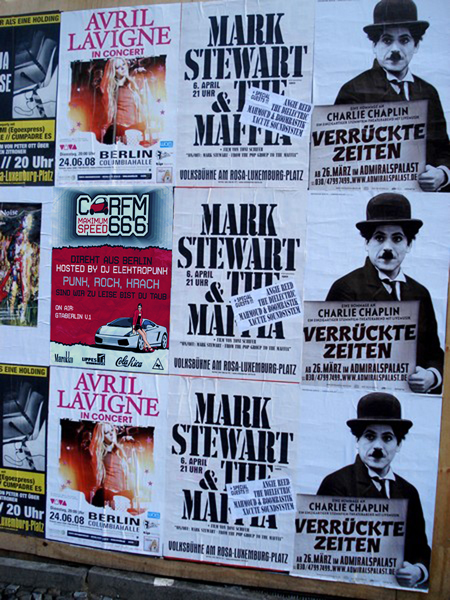 Recently he has been working on the block widely known for housing Madame Tussaud's Berlin branch. 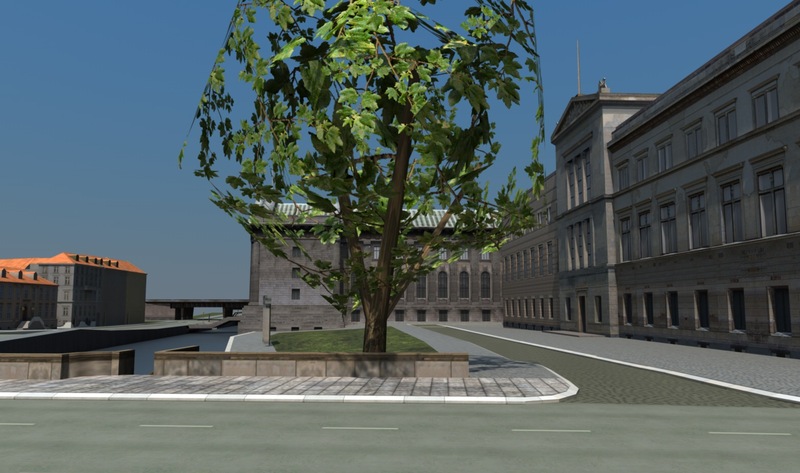 Upon completion this project will take us a step closer to the making the avenue Unter den Linden come alive. 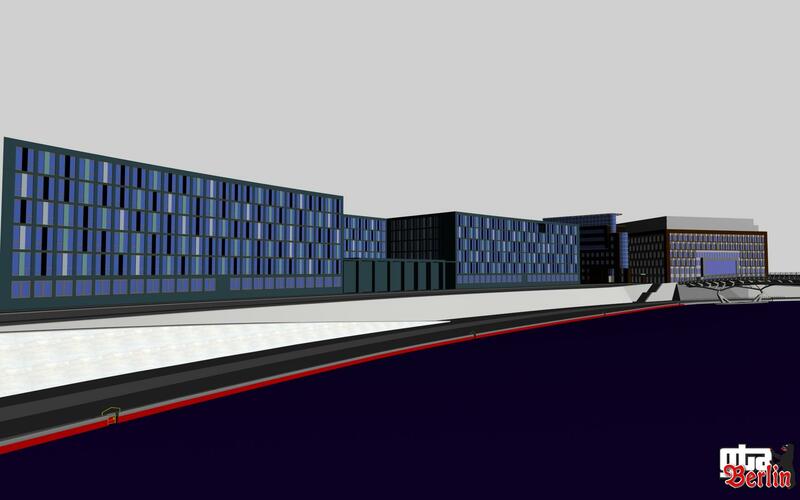 Furthermore you should really sneak a peek at JKM's recent progress on the Kapelle-Ufer situated a bit further north. 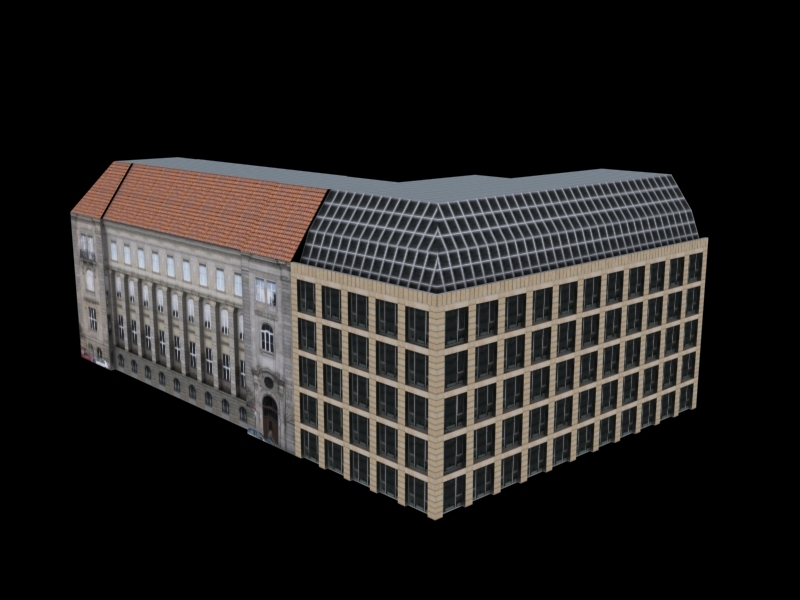 Houses now extend almost all the way from the central station to the Kronprinzenbrücke with the slight caveat that adding textures to all the models is of course going to be a significant chunk of work still to be done. 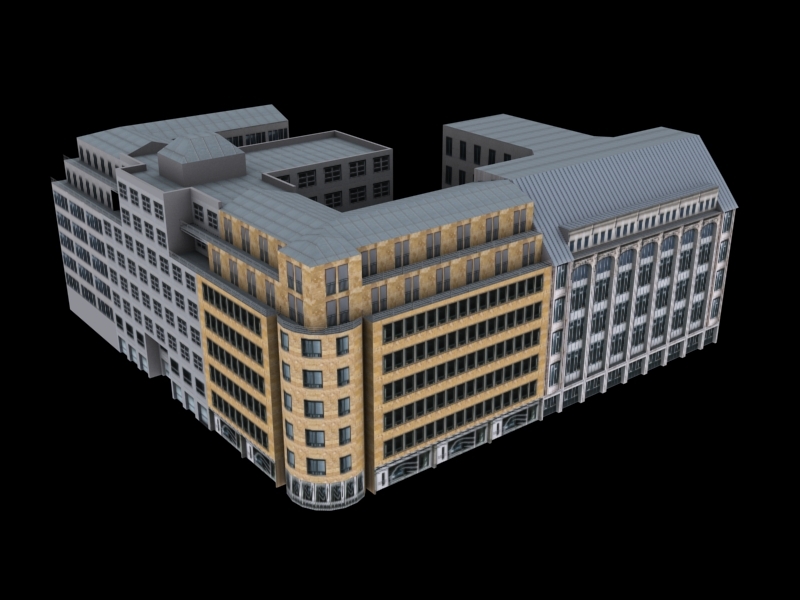 However we will soon have this amazing collection of early 21st century office buildings with all their precious details to show. As always there are lots of things left to do. This being said you will be pleased to learn that we have started preparing for a public release. However we feel some issues need to get addressed before we are ready to actually publish: Yes, Berlin traffic can be messy at times. 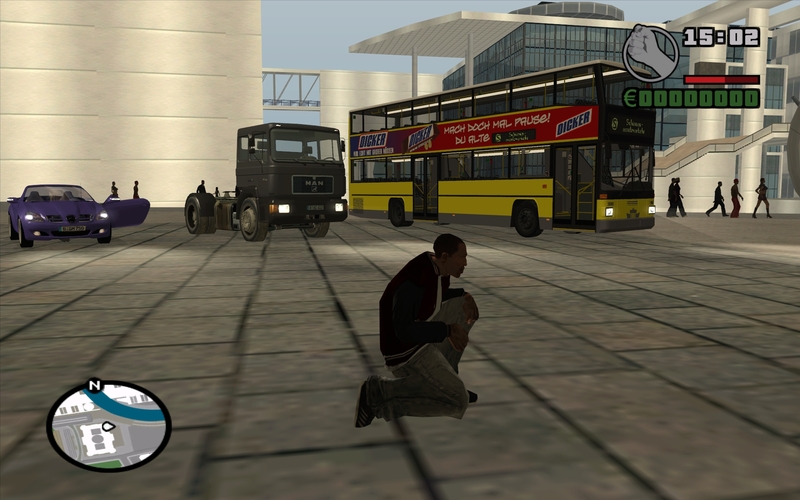 No, it is usually not as bad as in the contemporary ingame Berlin. And you probably want some strangers strolling through the streets as well. 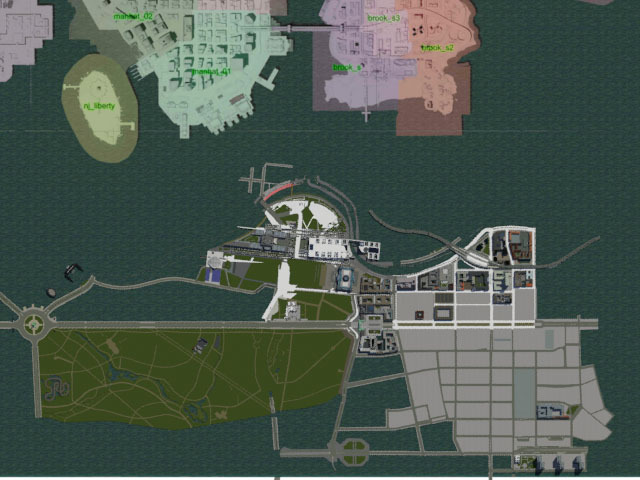 Unfortunately the most recent GTA game brought with it major changes to how these aspects can be altered, and we are still making our way through the details. 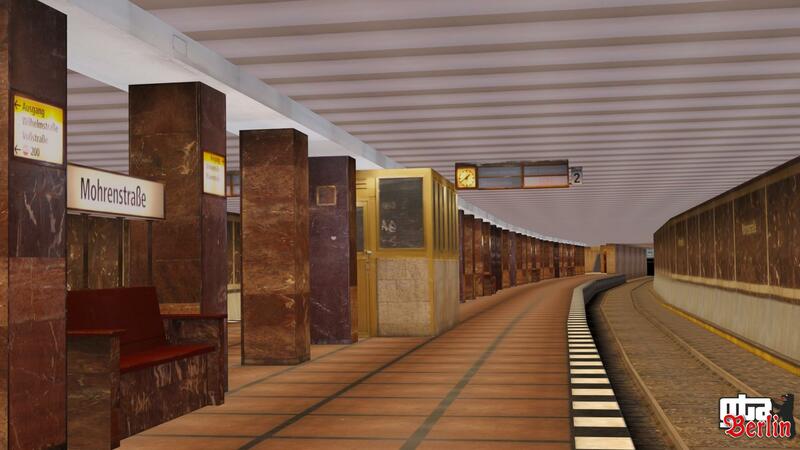 Also we do want virtual Berlin to feel as real as possible. Adding details like street lights and signs, trees and the like to the areas lacking them at the moment should go a long way. Finally there are still some nasty bugs that will crash the game every now and then that will need fixing. Let us use this opportunity to warmly invite you to join us in our endeavor. 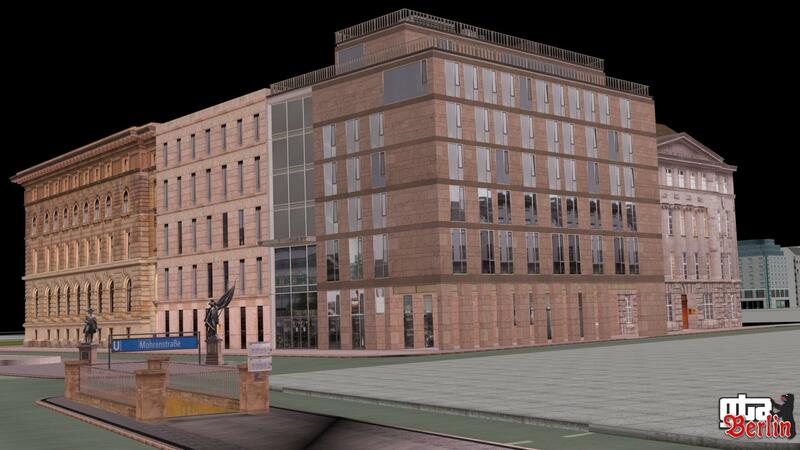 Building 3D models requires a lot of effort, but we can provide you with advise to systematically improve your skills. 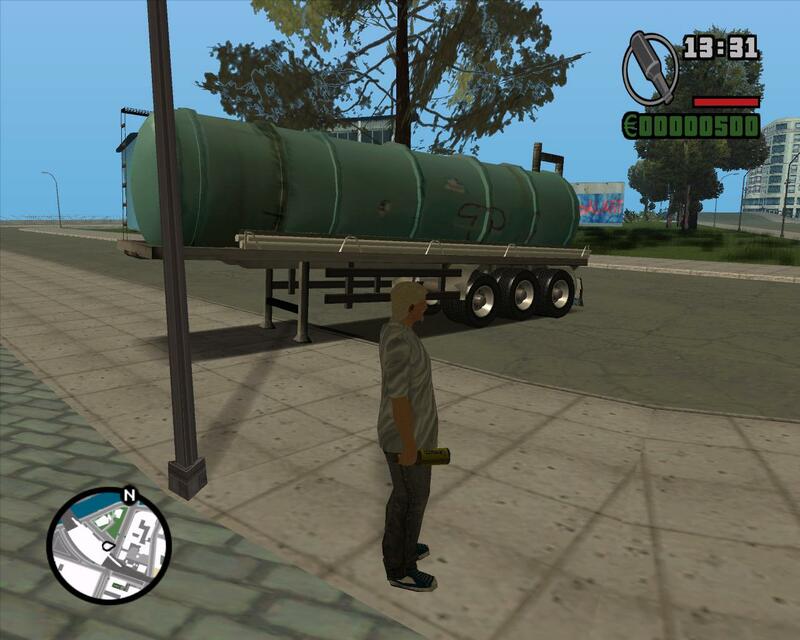 Also any help from someone with previous experience with the GTA V engine would be greatly appreciated. Just join our message board and say hi. Also, spread the word on Facebook and like us to stay informed about all the small and big updates plus some not-so-serious bonus content every now and then. And if you feel like bulletin boards are so twentieth century, just get in touch with us over there. That's it from us for the anniversary edition news - feel free to check out the original release once again and get excited about the things to come. Even though it must seem differently, the project is still under development. 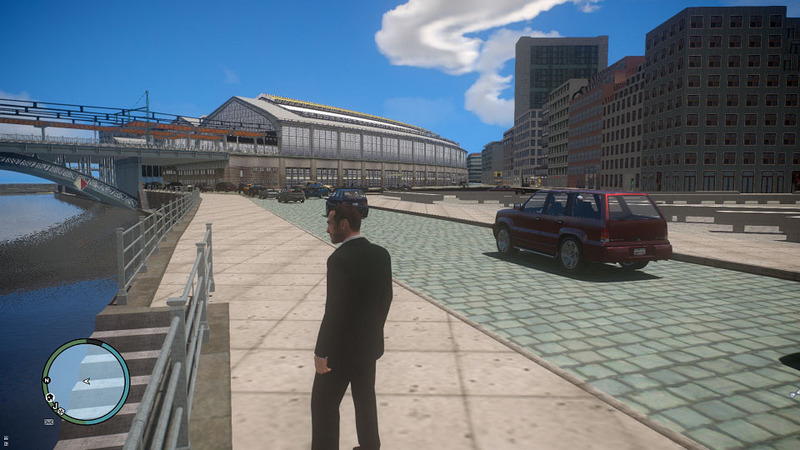 We are happy to show some recent progress, illustrating steady advances. For the last two years Trabbi601 has been contributing to the project and is now head of our mapping efforts. 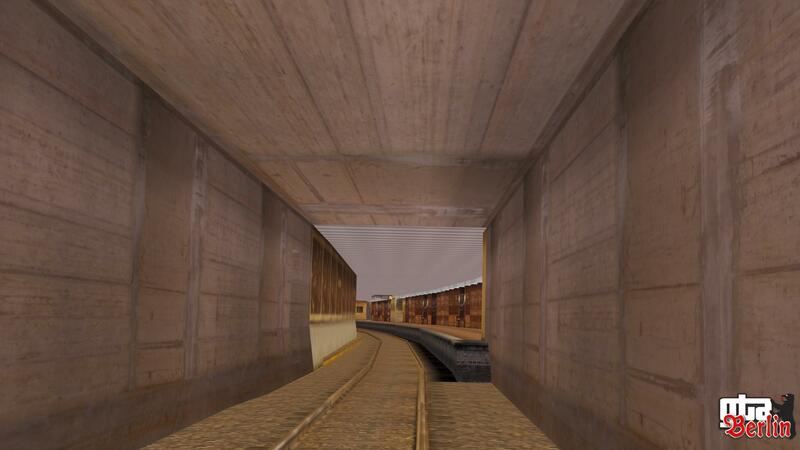 Not only did he refurbish textures and add more details to some older models to give the map an overall coherent look, but he has also managed to extent the road system. 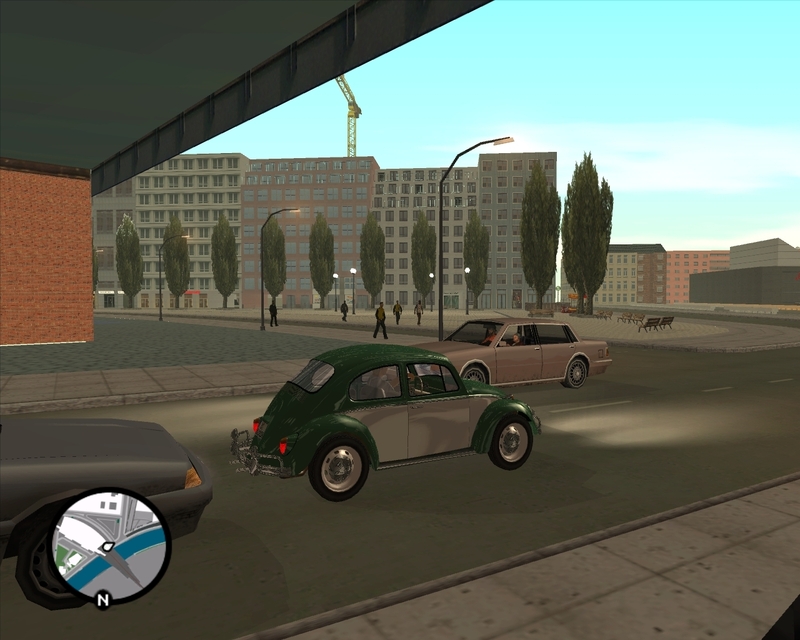 Furthermore Trabi601 has converted the map to make it fit for the engine that GTA IV is based on, giving us first-ever ingame screenshots of GTA: Berlin in GTA IV. As you can tell from the screenshots we have not cleared the original map in order to reduce empty space. 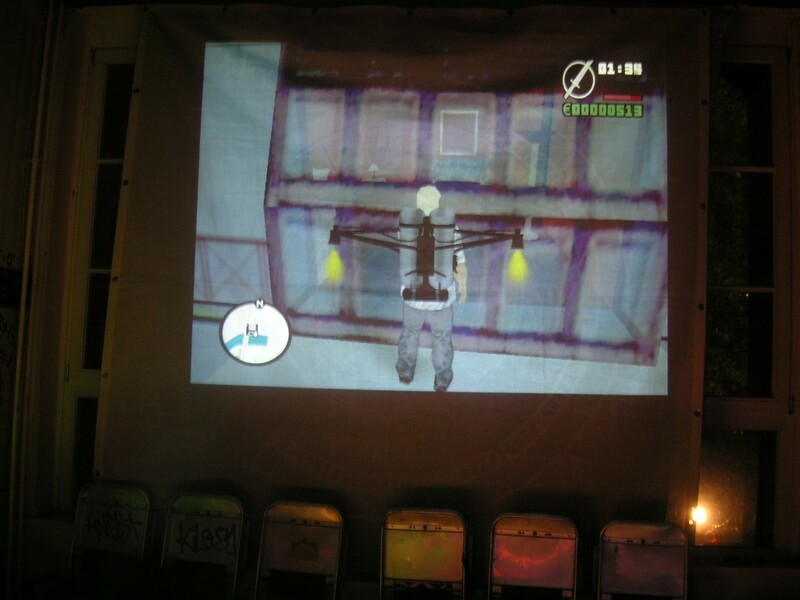 Instead you will now be able to play GTA IV as usual and simply swing by to neighboring Berlin. This is in response to the respective criticism we have had after releasing the first ingame demo back then. Also we do have some new models to show. 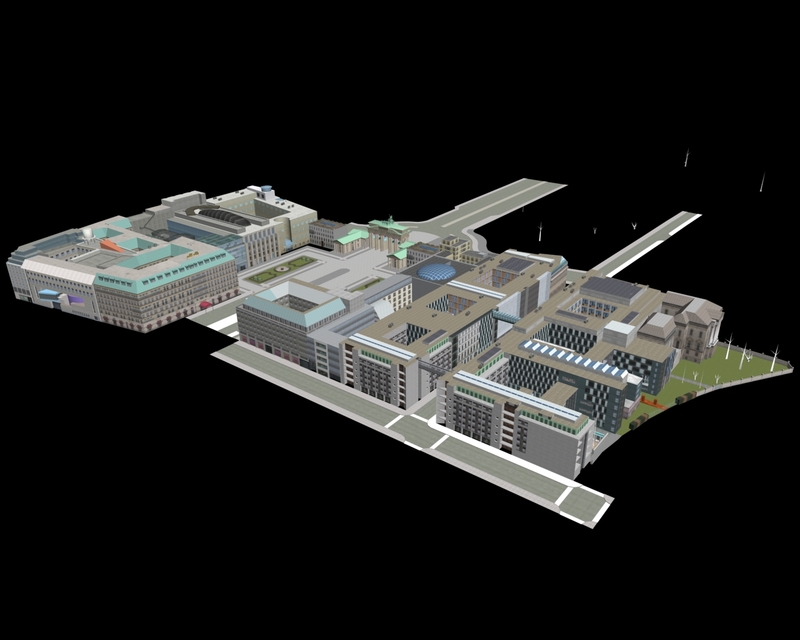 MoeRon has contributed some further blocks to the Brandenburg Gate area, and the virtual Friedrichstrasse now is already as claustrophobic as its real-world counterpart. 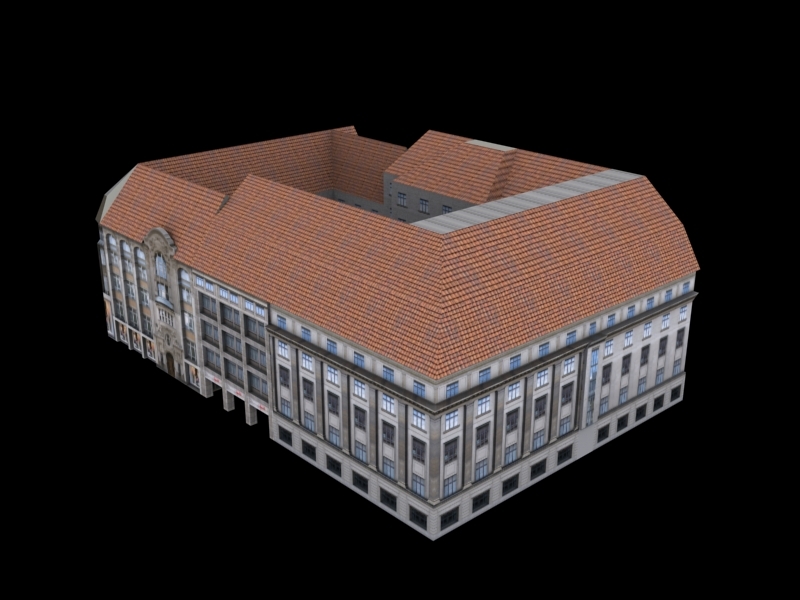 Those of you who have been following the project for some time already will have recognized most of the buildings from previous posts. That is because we have been collecting from their respective authors and bringing ingame as many old models as we could in the course of the last year. Due to the low number of developers still actively working on the project that pretty much used all our time. However we are more than happy to have Dreyli supporting us since last summer. 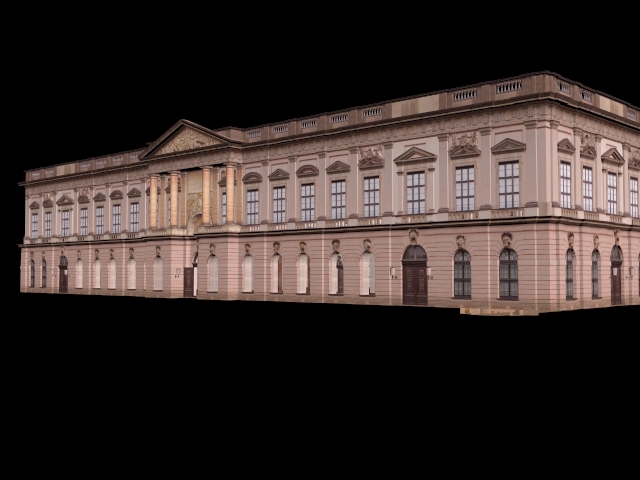 Within few months of work he has finished the Bauakademie and the arsenal (Zeughaus). The degree of detail makes us look forward to future versions of GTA with engines making the best of these magnificent models. 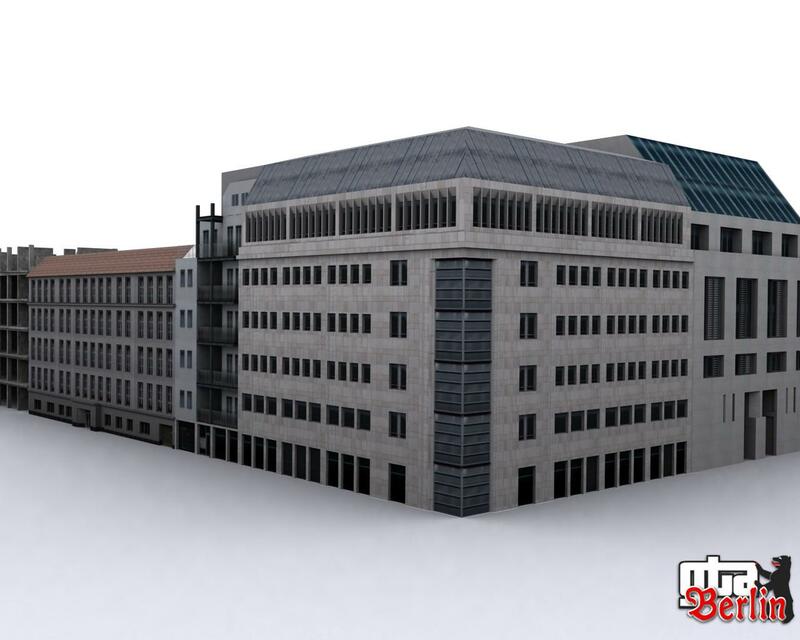 Recently he has been working on the block housing the federal work and social welfare ministry in Mitte. 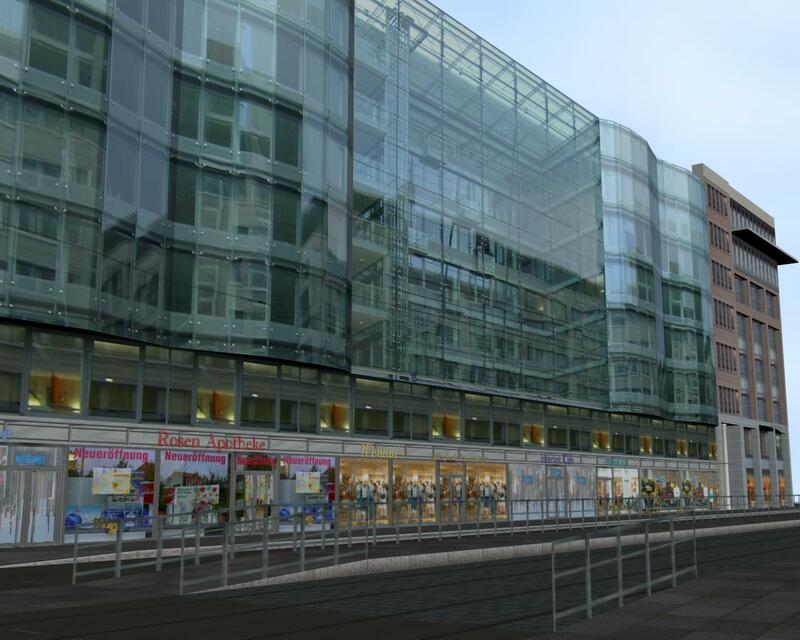 Another model that is almost finished after a year's work is the central station. 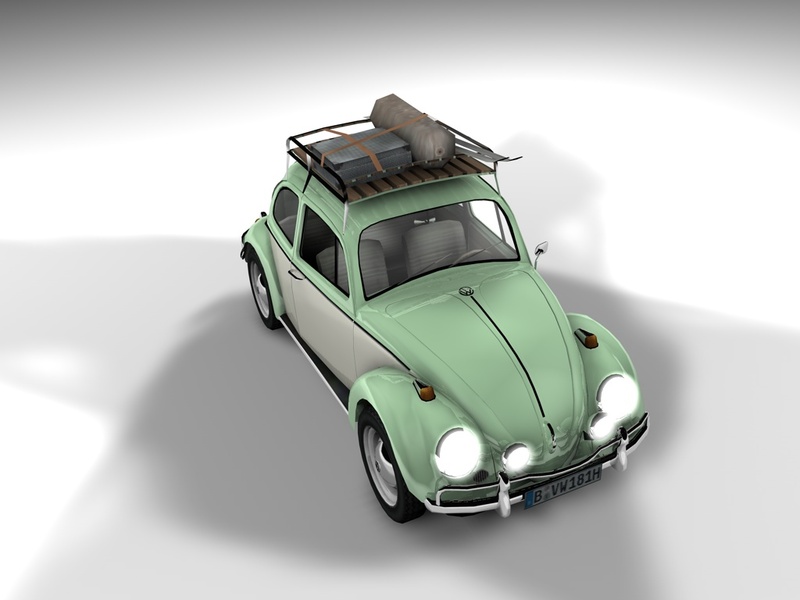 Initially Trabbi601s had intended to revise our previous model to make it fit into the map. 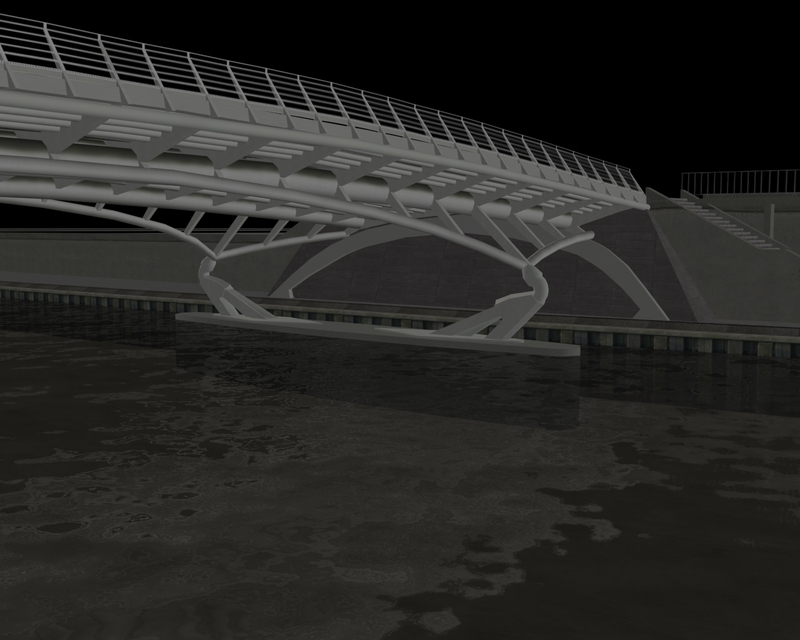 At some stage however to decided to rebuild it from scratch to avoid major reworking. There are now first ingame shots available. In order to help us organize things we have set up an overview of what we have got using OpenStreetMap. You will find both finished and missing pieces on the map. 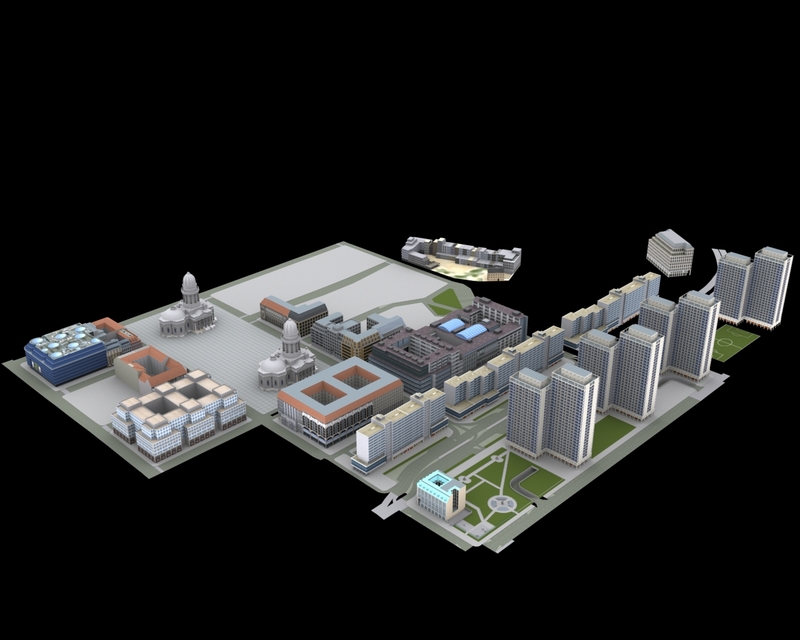 We warmly invite all you guys out there that are into 3D-modelling and visualization to have a look at the map and get in touch with us if you would like to help. Looking forward to hearing from you! 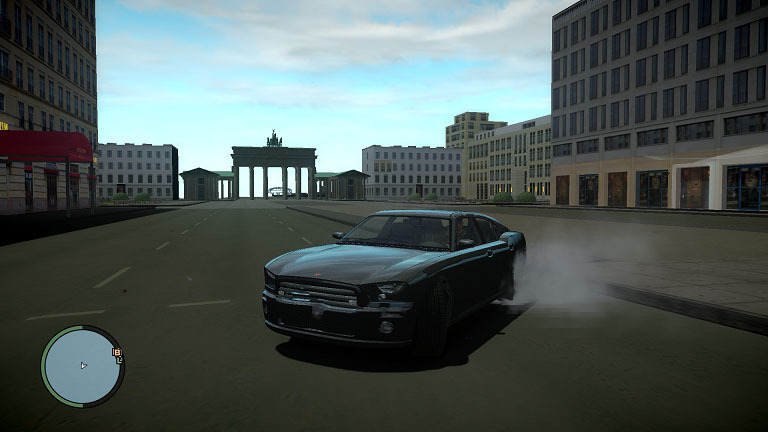 Finally we have now made it to 2010 and have set up a GTA: Berlin Facebook page. We will keep you posted on recent progress and we might even have a story or two to tell about the project's turbulent history. Also we look forward to hearing from you via Facebook if you don't feel like signing up in the boards to get in touch. So, we are still at it - Merry Christmas! Germany's fateful day? We wouldn't miss that, right? Thus, we proudly present what e-punk and Robert Reckin have spent a lot of time for: our first customized radio station. 66,6 CarFM comes up with loads of cool music and the hottest news and weather forecast. 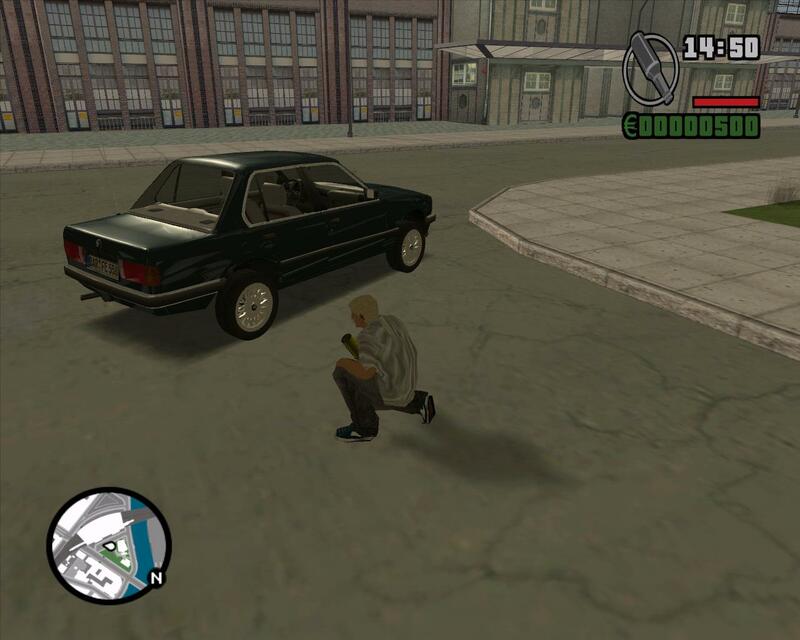 This sure is more interesting to German-speaking people, but still if you like your Grand Theft Auto to have some German air, you'll like it. But there is some other cool things to be seen. 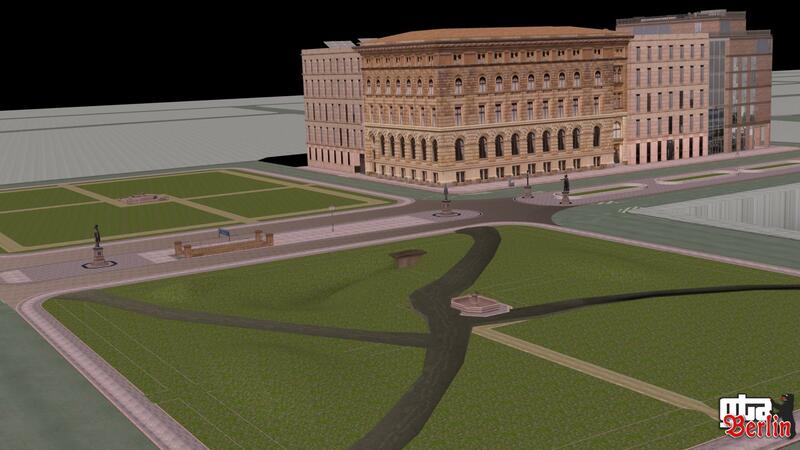 Feindbild has been working solo on creating the Leipziger Strasse and Gendarmenmarkt area, and he has a lot to show so far. 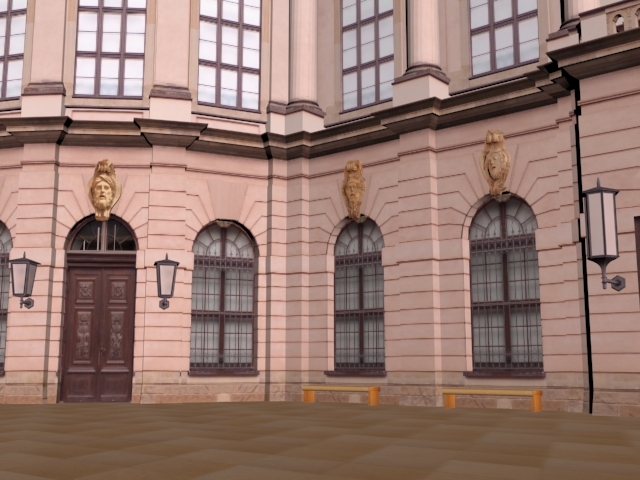 Marten came up with new pictures from Museumsinsel and the bordering Kupfergraben. 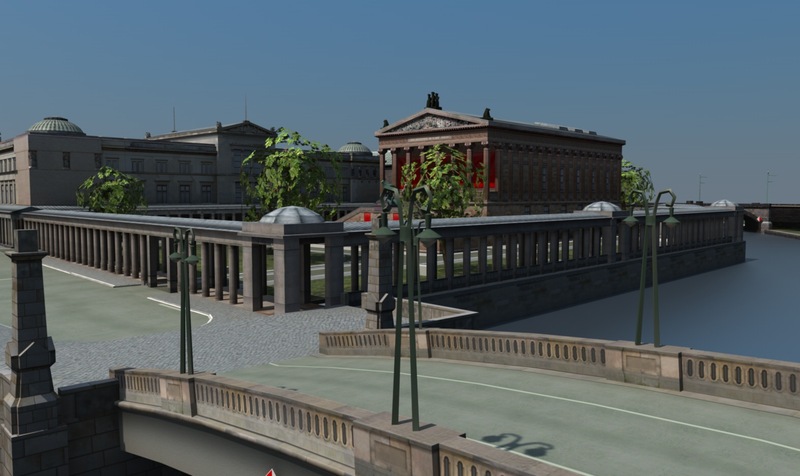 Last, but not least, MoeRon has made progress concerning the blocks around Brandenburg Gate. For certain well-known reasons, there has to be another news today - featuring some downloads, again. Gresley managed to finish his work on the BMW E30 325e within only three months from when he first introduced the project. 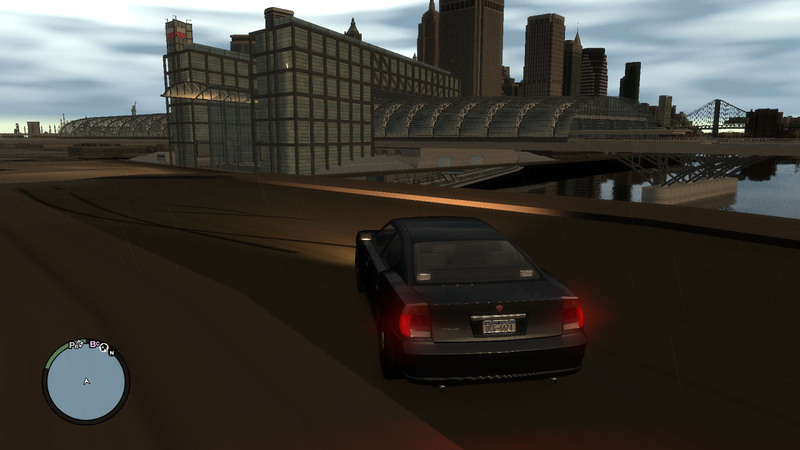 With wheels modeled by Don Piano, the car is ingame already. As a little gift, the car is now available for download. In case you paid attention to what was happening in the board, you will have noticed already Trabi601s was working on a trailer. This project has also been finished and is by now available for download as an extension of the MAN F90. It's been almost a year since we released the first ingame demo, and we have been constantly working on it. Although there have been little news on the page, there was done a lot on the board. Thus, we today release the first update! 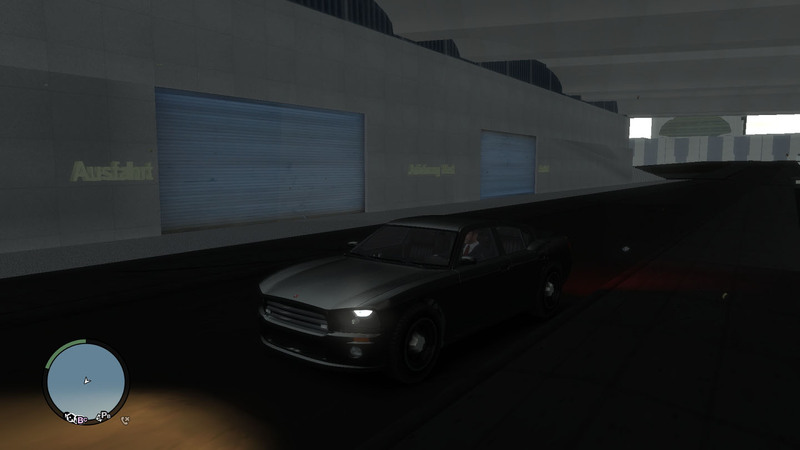 This update features a carpack containing the MAN F90, Mercedes Benz SLK 2004er and the Design-X that everybody following this project should be familiar with. 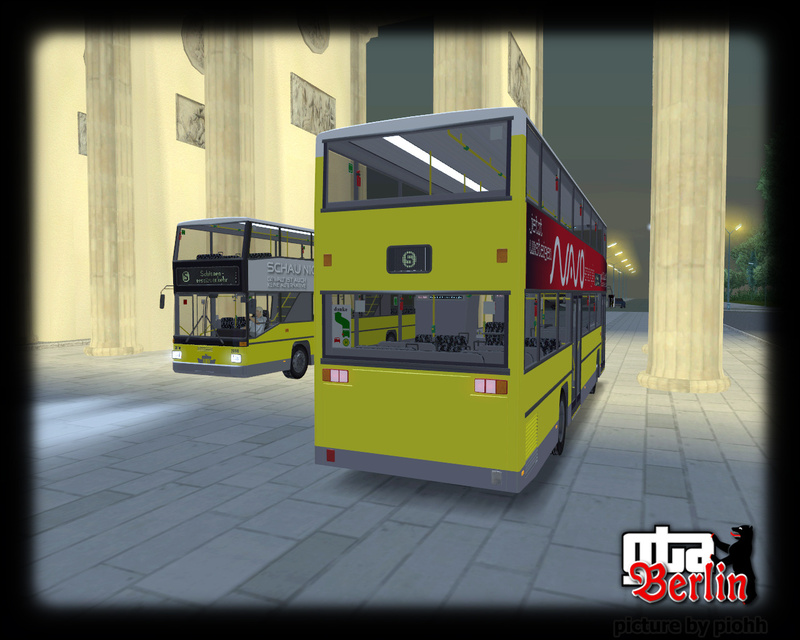 In addition, it comes up with a small soundpack that should help bring a little more Berlin-like atmosphere to the game. You will get the update on the download page http://download.gtaberlin.de. 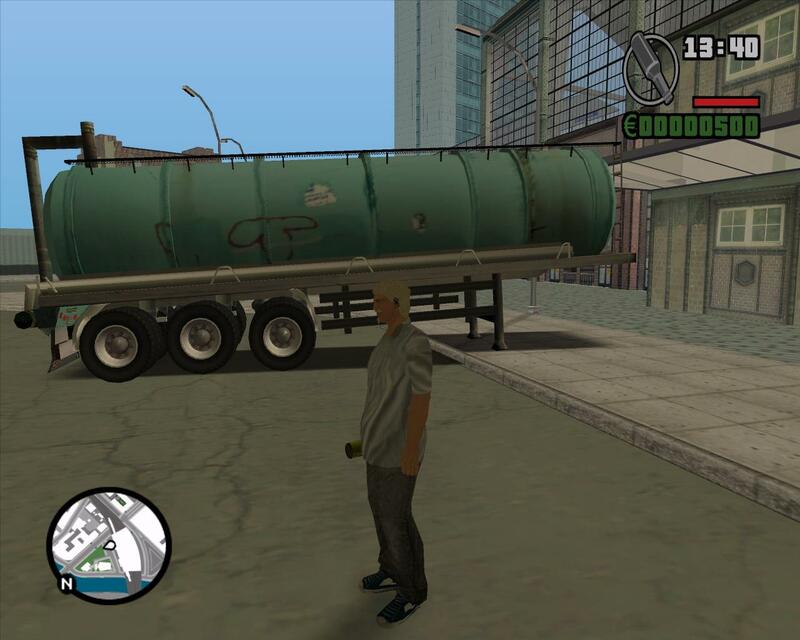 We recommend using the GAMI-package to anyone who has not yet worked at sound modding in GTA! After a quarter with no news at all, it is time to show a sign of life. Although there haven't been any news for so long, public interest in the project didn't decrease, and we nevertheless went on making our idea come true. What really made us happy are the numerous videos uploaded to platforms such as youtube, where stunters found places to do spectacular actions at. 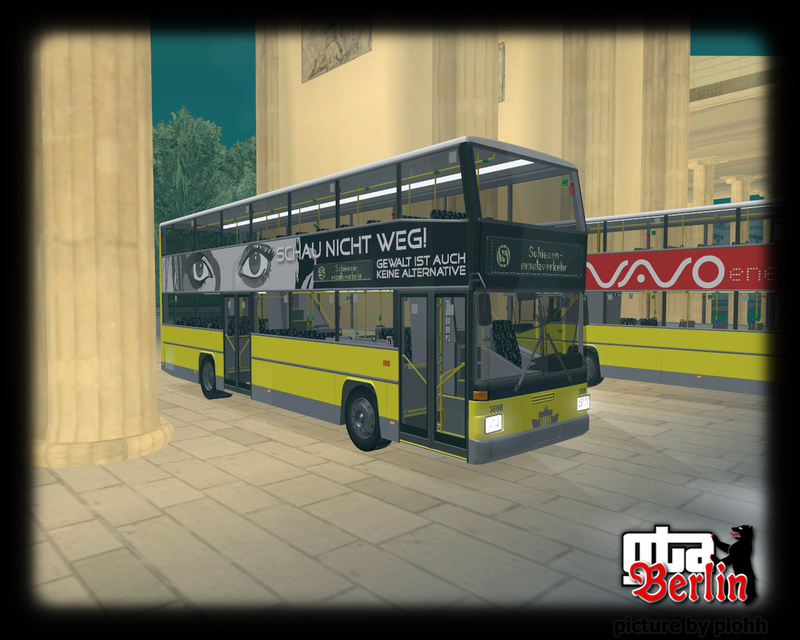 Already some time ago, the double-decker bus was shown to the public in both our forums and on gta-worldmods.de, where Design-X - the team behind it - resides. The model itself comes up with a bunch of lovely details and some extras, amongst others changing advertisements on it. 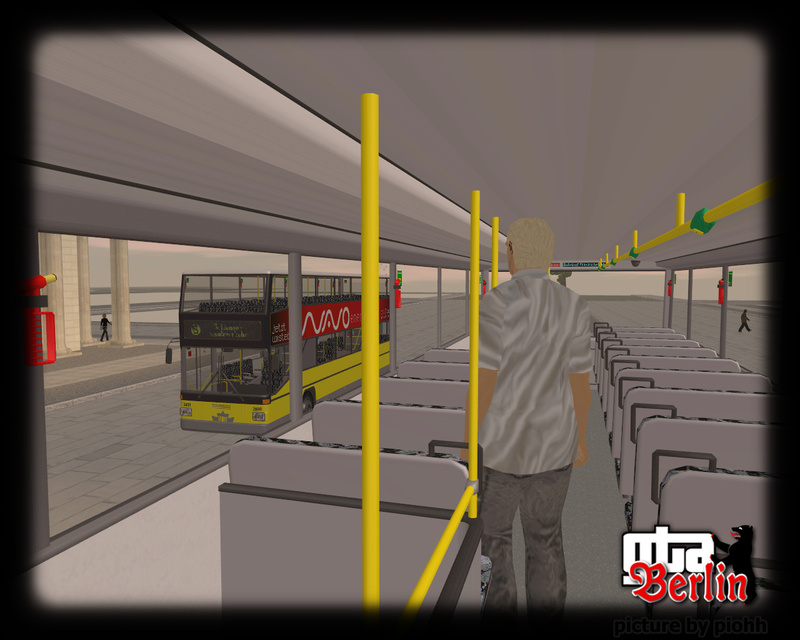 We have thus taken another big step forward in implementing the public transport system of Berlin. We want to thank duisburg4ever for all the time he spent on modeling. We have made some progress with the map as well. 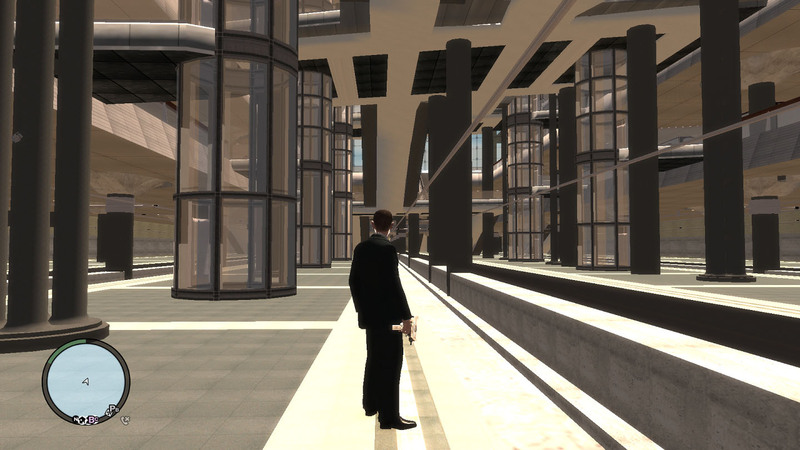 We may proudly state, that the new blocks added already create some kind of downtown atmosphere. Next, we have started modifying the timecyc.dat and done some experimenting with the file, that in general manages the lightning conditions. Despite all this advance, we do not plan to come up with our first update until April at the moment, since some guys involved in the development - the team used to be too small ever since we started anyway - have other great deals to do. Until then, we are looking for a competent co-worker to revise the collision-data in order to improve ingame performance. 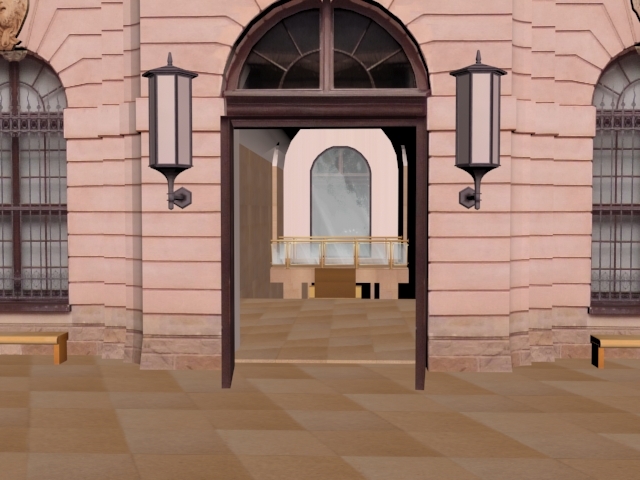 You will need respectable abilities in working with 3ds max, especially concerning spheres and boxes. A corresponding entry and further information can be found in the jobs-section. After our site had been visited by a surprisingly high amount of users in the time around 7:00pm CET, that the release was announced to come at, the server was unreachable for the public and for us. Thus, the download was published unspectacularly, which means we got to go a bit more into detail now that the great chaos is over. 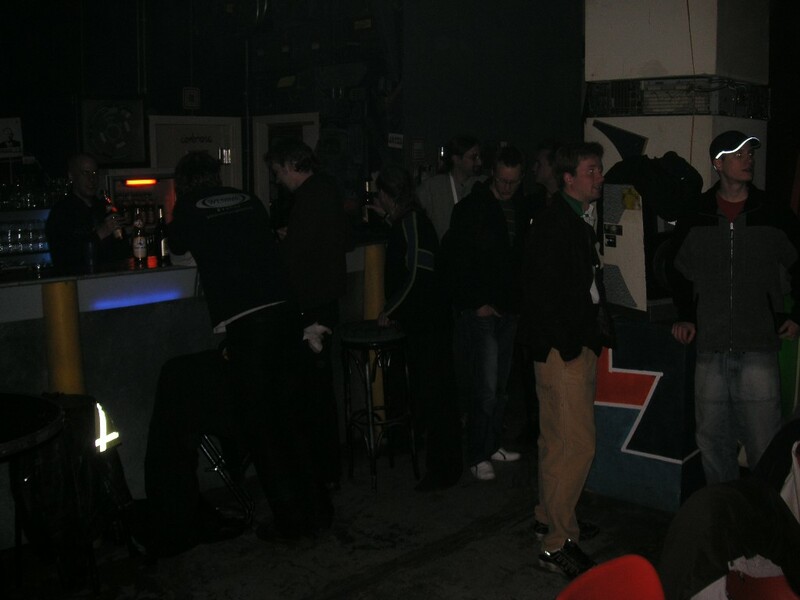 In the context of that small party at Berlin c-base, where there were just as many people as there should have been in order to grant that slack atmosphere, to show und discuss the progress, the download of the first version was eventually released. The fact alone of having pursued that idea so long, we could now come up with something to show to the public, is the greatest success to us already. The feedback, we have got so far, that would best be described as euphoric, is another pleasant experience for us. A comment on that and the description of our position may be found in our preamble, which is the introductory text to the download. Of course we as well know there are still a lot of gaps to be filled and a bunch of bugs to be fixed - nevertheless, we look forward to recruiting interested persons with skills in modeling and texturing, in order to go on developing und making real our idea. Meanwhile the download has spread to great parts of the German fan scene and probably as well made its way to the Englisch community - the choice of a Creative Commons-license seems till now to be the right one. 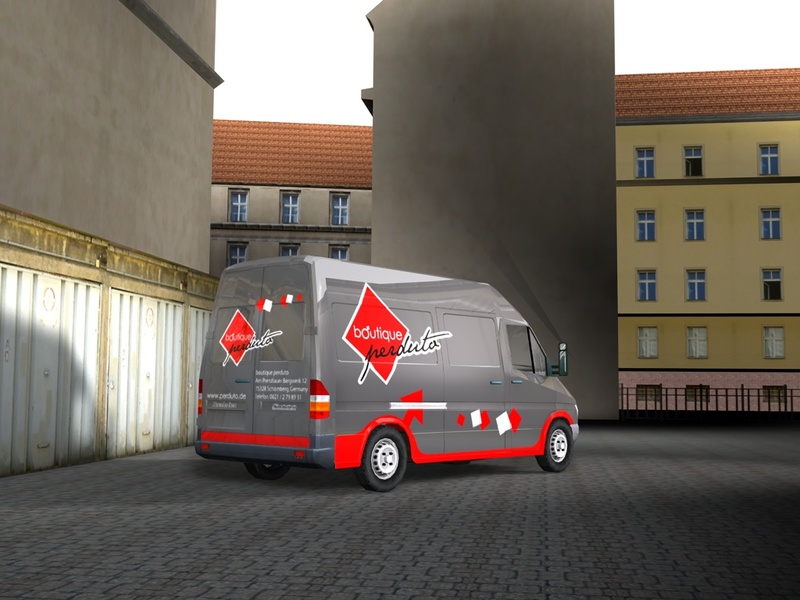 Therefore, we provide a list of sources to get the download from on download.gtaberlin.de. 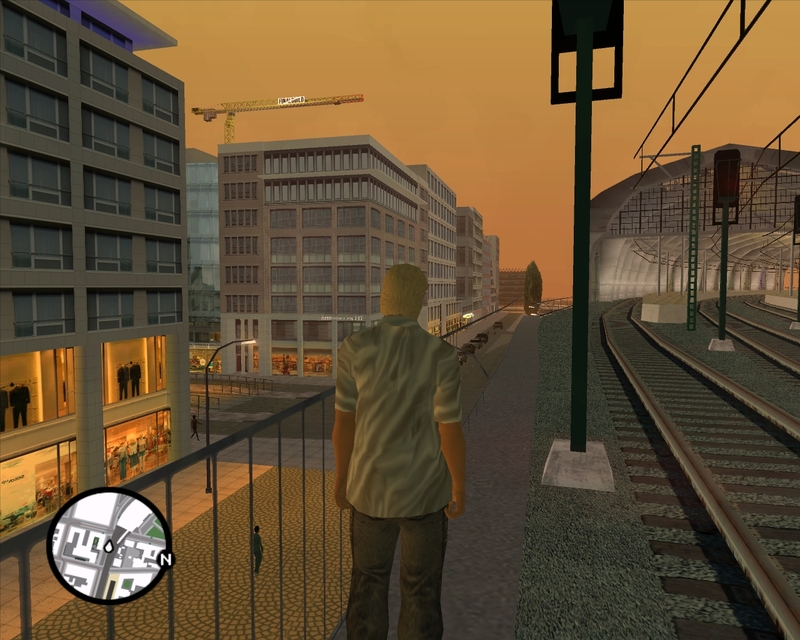 Special Thanks today goes out to Heiko 'ODIE' Feege, who initiated this project, and steve-m, whose MapCleaner's new version comes with the download and who set up a mirror for GTA: Berlin. Thanks to Maykiz for the pictures. October is approaching its end - we want to remain true on ourselves and act on our announcement. The release of this first version has now been scheduled to 29. October 2007. Still, we do not plan to just make available to you what we have created so far, but we want to celebrate this milestone in development. 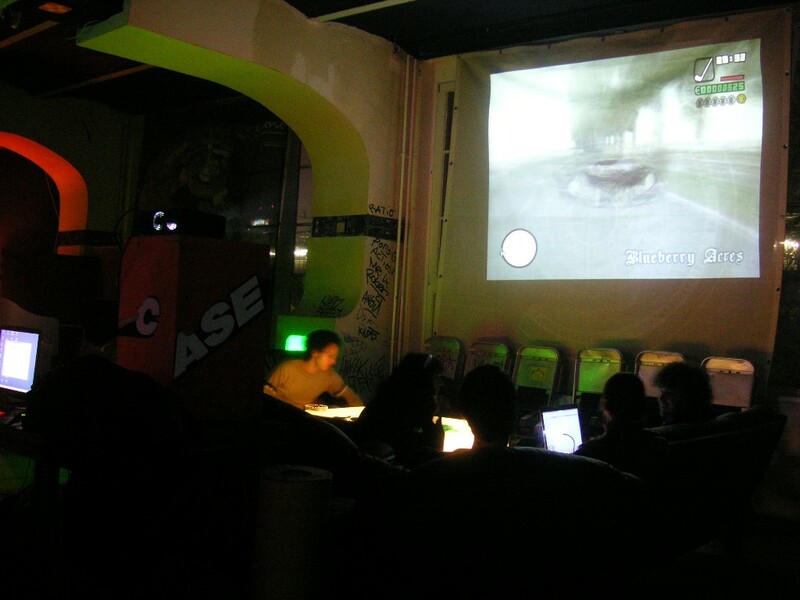 Therefore, there will be a release-party at Berlin's c-base. 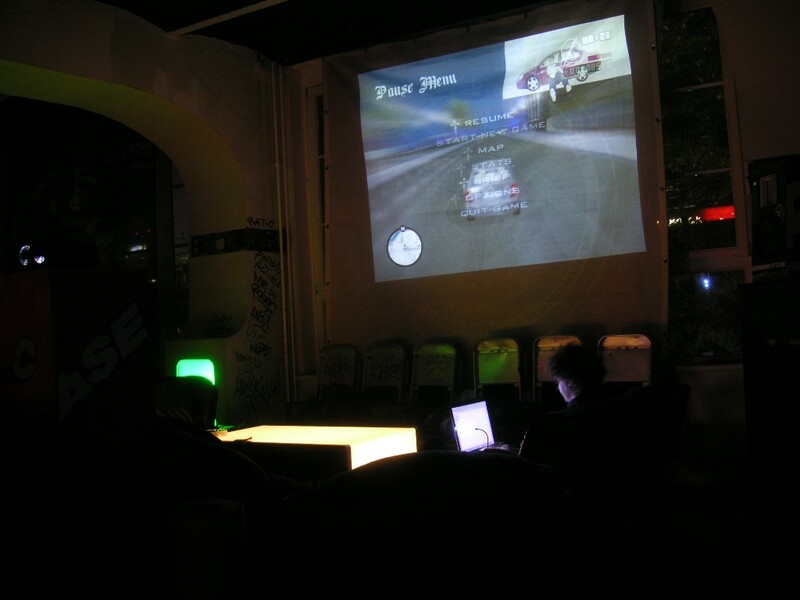 In case you have always wanted to meet the folks behind GTA: Berlin, this is your chance to commemorate this great day in a relaxing atmosphere. 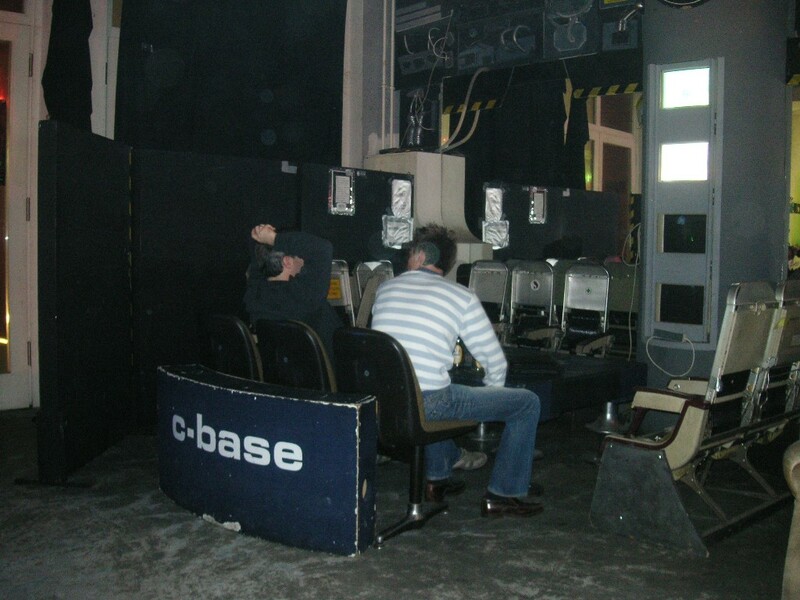 A plan for how to get to the c-base can be found on their website. In order to make your day till then, elekropunk who is from now on responsible for the realization of custom radio stations and thus member of our team, created a trailer showing the ingame environment that might be expected of you. In addition, Gresley uploaded an extended version of his render video featuring the VW Kaefer, that is also to be seen on youtube. Eventually, in case you have always wanted to show your interest in our project, helping us to become more popular on the net, you now get the chance to do so - GTA: Berlin has now got an own myspace. So, in case you reside in Berlin - come visit us at our party to make the evening legendary. October is approaching with rapid strides and since the work on the finalization appears to proceed in a quite moderate speed, there's time for new stuff to be built and old ones to come up again. 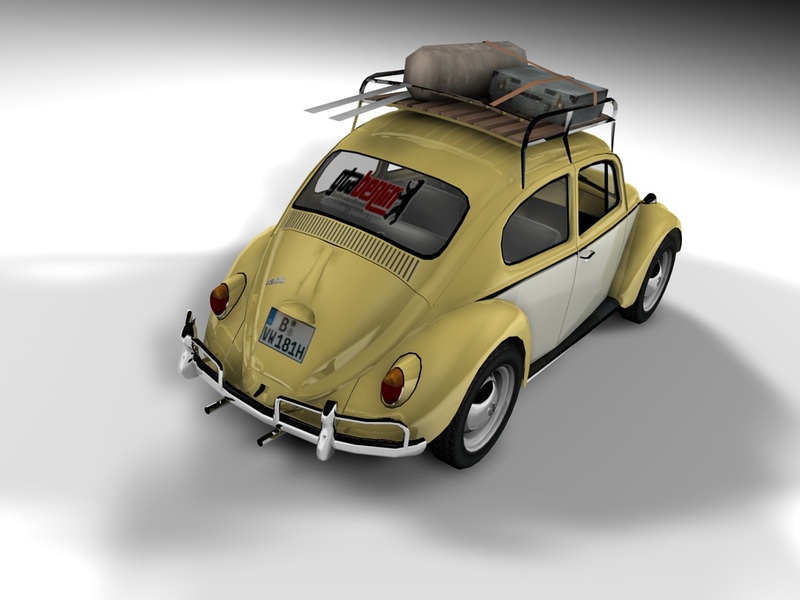 Thus, Gresley has created a small render-video showing the VW Käfer 1300 being taken to single parts. In addition there were two new pictures taken of it. 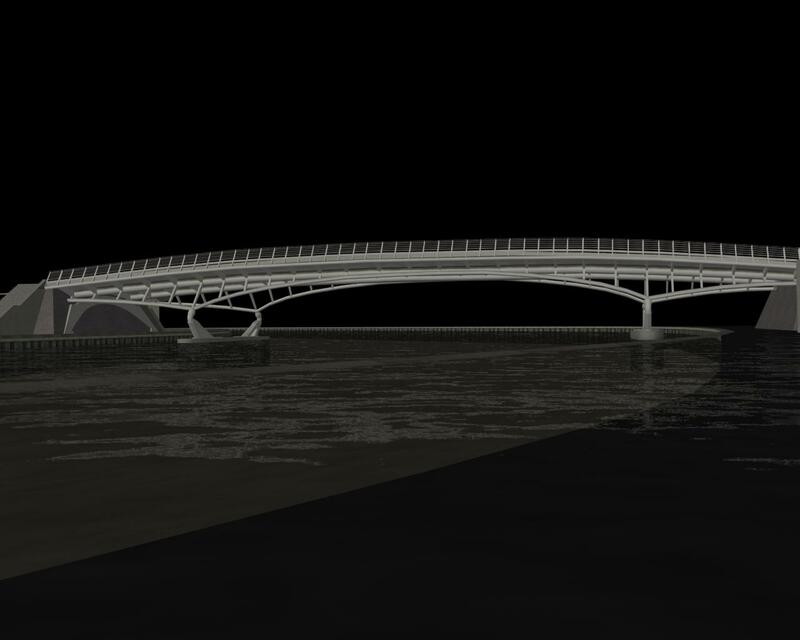 The newest downtown model is another bridge implemented by JKM. Plus eventually, we've got something for you. 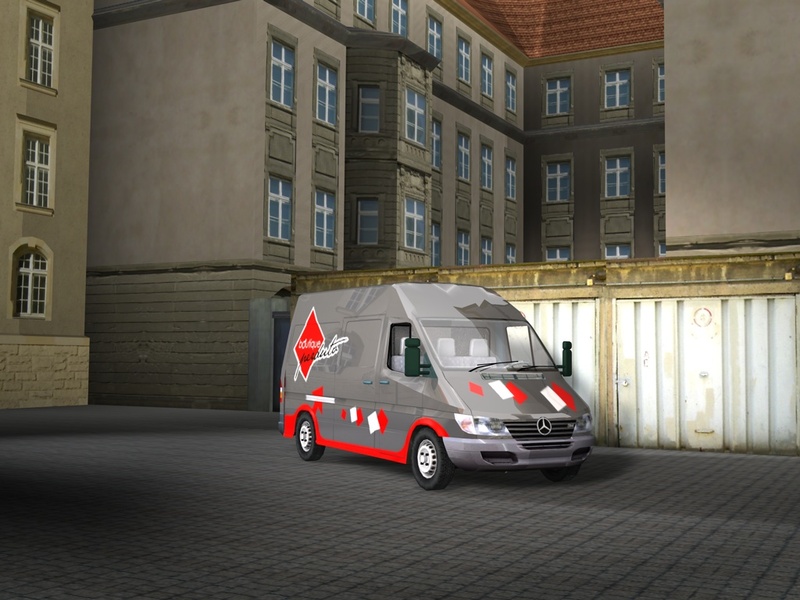 We prepared the Mercedes Sprinter in its "perduto"-style for download under the license of Creative Commons BY-NC-SA.